LAST DAY TO ORDER FOR GUARANTEED CHRISTMAS DELIVERY – FRIDAY, DECEMBER 7, 2012. We will continue taking orders up through Monday, December 17th for items that are in stock and ready to ship. If you are needing products in time for Christmas after 12/7, please contact us to check availability before placing your order. 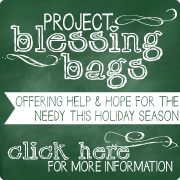 We’d love to help you bless the ones you love with the gift of prayer! Let us know how we can serve you!